Each year the YMCA hosts Healthy Kids Day for 4th Graders in Mercer County. The YMCA Healthy Kids Day is a national event that celebrates healthy living. The event is designed to help kids embrace a more active lifestyle and make healthy choices. 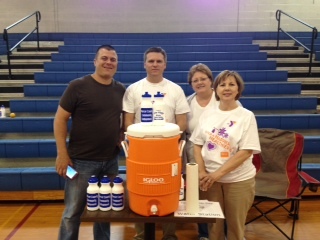 This year’s event was held on May 1st at the Mercer County Intermediate School. The students visited 10 booths, each with a different aspect of healthy living, hosted by different Community Partners of the YMCA. 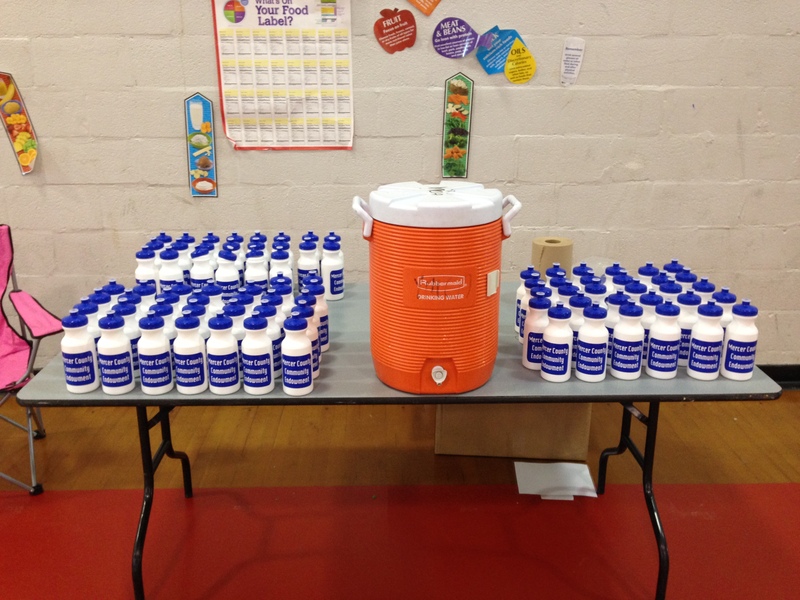 The Lake Village Water Association provided water bottles to each student, in partnership with the Mercer County Community Endowment. Lake Village Water Association staff volunteered their time to provide tap water at stations located throughout the event highlighting the importance of water consumption for overall health and also the benefits of fluoride in tap water to one’s overall health, primarily dental health. As a drinking water provider for Mercer and Boyle County residents, the Association considers community involvement, such as outreach, education and conservation of water as a resource an important component of our operations. For more information about the YMCA Healthy Kids Day or information about volunteering at your local YMCA, contact the Wilderness Trace Family YMCA at (859) 734-9622 or visit them on the web at www.WildernessTraceYMCA.org. This entry was posted in Uncategorized on April 30, 2014 by lvwanews.